Sunday Salon - Happy Halloween! 1) What type of research do you do for your books? Mostly I make it up as I go. 2) Do you prepare an outline before you begin a book? 3) What book would you choose to read for your own relaxation? 4) Who is your biggest influence in your writing career? 5) Who is your all time favorite author? 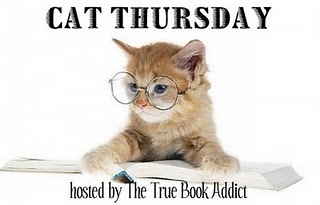 The Socrates' Book Review Blog and The Socrates' Cozy Cafe Blog are happy to welcome author Marja McGraw to our happy home. She agreed to do a guest blog post and we're so happy she did. 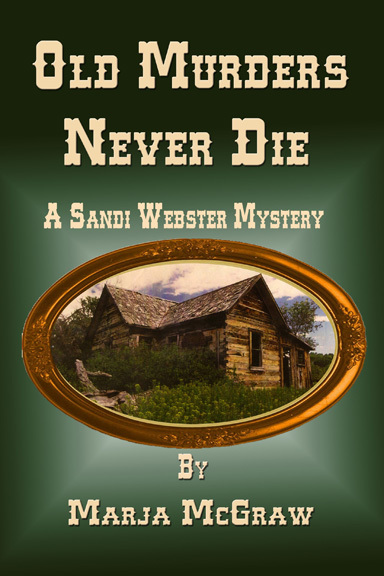 Marja is the author of two mystery series, The Sandi Webster Mysteries and The Bogey Man Mysteries. Welcome Marja! However, I’m also an avid reader, or at least I was until I started writing. Now I don’t have enough time to read everything I’d like to. For purposes of this article though, I’m going to remain a reader. 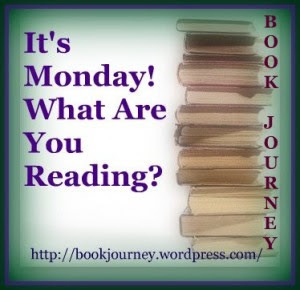 Beginning with my mother’s Honey Bunch books, and moving on to the Oz books, Nancy Drew and the Hardy Boys books, and finally real honest-to-goodness adult books, I’ve enjoyed the freedom to go places and do things vicariously through the characters and the stories. 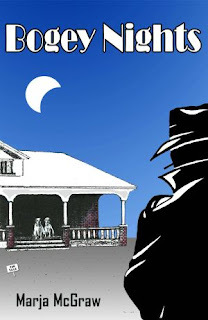 All that reading and all of those characters and storylines are what prompted me to write mysteries. Some of the ideas are so unique that when I finish a book I sit back and wish I’d written it. Janet Evanovich is so funny. Mary Higgins Clark’s books are so polished. Tony Hillerman’s books gave me a whole new perspective on quietly waiting for things. I can’t wait for the next Dorothy Bodoin book to come out so I can see what her characters and the collies are up to. I love exploring the pyramids with Elizabeth Peters. Clive Cussler takes me on such wonderful adventures. And those authors are only the tip of the iceberg. I’m constantly finding new and lesser known authors to read. When To Kill a Mockingbird by Harper Lee came out, even though I’d never given a thought to writing a novel, I read the last page and wished I’d written that book. The characters were so real to me—Atticus, Jem and Scout. 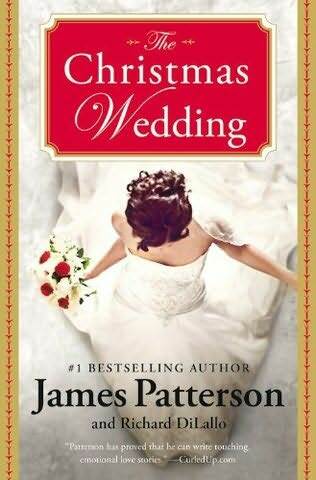 The storyline reminded me of what times and people were like in the thirties. (Even though I wasn’t even a sparkle in my mother’s eyes in the thirties, I’ve heard things.) And Boo Radley--oh, what a guy. I think every town has had someone whom people talked about and who was highly misunderstood. If you don’t know what I’m talking about, read the book. You’ll be glad you did. Marley & Me by John Grogan made me laugh out loud, and then the story made me cry. I wish I’d written it because it was so entertaining. Unfortunately for me, I didn’t really quite believe the story and ended up with two yellow Labrador retrievers, Sugar and Murphy. Believe me, Grogan’s story was spot on. These dogs are half nuts, but I wouldn’t give them up for anything. Sometimes I read one simple idea in a story--and wish I’d thought of it first. Oh well… I do my best. 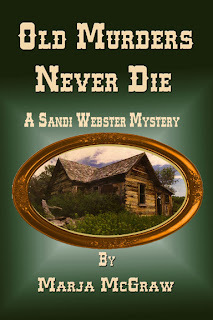 If you like mysteries, and the idea of being stranded in a ghost town appeals to you, try Old Murders Never Die, by me (Marja McGraw). Maybe one day someone will read it and say, “I wish I’d written that.” One can always hope. Yvonne, Thank you for letting me visit today. Thinking about all the books I’ve read makes me remember why I enjoy writing so much. Thank you so much for joining us, Marja! I had a few bouts of fitful sleep, but none after three o'clock in the morning when I thought of the things I'd said to him. I'd been replaying his words and actions over and over, and they were bad enough, but my own sickened me. I'd begged my cheating boyfriend not to leave me. Worse, I'd offered to let him try out his new girlfriend then return to me if he wasn't satisfied. "Take her for a test drive, honey, then come back to the old reliable ride waiting at home." Yes, I do. I have a commute to work for a total of an hour a day. So, I figure in those 5 hours a week, I should get some reading accomplished. It doesn't always work out well since some books just don't work for me as an audio book, but I've been able to catch up on some series books this way. I find it's a little harder for me to listen to suspense books, but the chick lit or non-fiction books work really well for me in audio. The Happy Haven Assisted Living Facility is really hopping when one of their residents, Bob Weiderley, wins at Bingo. A whole dollar bill is his, but when he goes up to collect his winnings, he passes out and winds up in a coma. His fellow residents are stunned. Bob has been in such good shape, even though he is nearly 90. 90-year-old Essie Cobb isn’t buying that the excitement got to Bob. There has to be more to the story than that and she intends to find out. 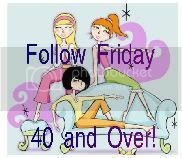 Along with her good friends Opal, Marjorie and Fay, they investigate the situation and find much to be suspicious of and a surprising amount of suspects. For one thing, just before Bob fell into a coma, a stranger sent him a letter with incredibly shocking news. There’s, also, the director of the Happy Haven, as well as the social director, both of whom are acting strangely. Essie’s suspicions even stretch out to the women Bob eats dinner with on a regular basis. She’s determined to get to the bottom of this and find out who wants Bob dead and put an immediate stop to any more plots to kill the man. 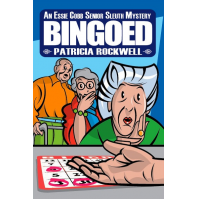 Bingoed is a humorous book filled with both mystery and laughter – not to mention a number of endearing characters that will warm your heart. It’s a fast-paced, quick read that will surely lighten your mood. This is the first, and hopefully not the last, in the Essie Cobb Senior Sleuth Mystery series. FTC Disclosure: The author provided me with a copy of this book to review. This did not influence my thoughts and opinions in any way. All opinions expressed are my own.. I LOVE M&M's. Plain, peanut...doesn't matter to me. I love them all. 1. I am afraid of bugs - any kind of bugs, I don't discriminate! 3. The last time I went to the bookstore I couldn’t stop writing down all the books I wanted. 4. I got my first couples massage when I was in Mexico last year. I tend to read more because I'll have more time when I'm on vacation whether it's on a plane ride or waiting in an airport or lying on a beach. Also, I don't take a computer on vacation with me. Therefore, I'm not checking email, blogging or Facebooking. More time to read! As for the type of books, I try to stay away from review books because I need to clear my head and it would feel as if I'm doing a job instead of vacationing. I'm the type that has to write my review right after I finish a book or I forget what the book is about. LOL Short term memory :) However, I'll be going away in a couple of weeks and I'll probably be reading review books anyway because I'm so far behind. When I first told a few friends that I was going to write a crime/suspense thriller with a mystical twist, one of them responded with, “So, are you going to learn how to shoot a Glock?” I realized that “shooting a Glock” (a service weapon a lot of cops own) was an example of how superficial the understanding can be of what cops do. So much of what we think goes on during a homicide investigation is framed from what we’ve seen on television or the movies. And, yes, “shooting a Glock” is really a minor portion of that. Since I had zero understandings of the workings of a real homicide detective and I wanted to make sure everything was authentic in the Jane Perry series, I sought out a lot of police officers from all the various levels of law enforcement: Street cops, fraud detectives, homicide sergeants, etc. all helped me create a much more accurate picture of what I needed. I went on midnight to six in the morning ride-a-longs with two street cops and garnered insight into what goes on when the rest of us are asleep. I also went to Denver and was thrilled when a public information officer for the Denver PD allowed me to tour the actual homicide division at Denver Headquarters. This kind of tour was invaluable to me because I could describe the carpet, color of paint, where the detective’s offices were located, what view they had outside their windows, what the interrogation room looked like, and so much more. To me, this just helped make the whole setting more authentic. Perhaps the most difficult part was realizing that I needed to describe crime scenes in a realistic manner. I met a homicide cop in Grand Junction, Colorado who was extremely generous with his time. He put together a slideshow presentation of gruesome crime scenes based on what I knew would be featured in the books. I needed to know what a knife wound really looked like, what a suicide gunshot to the head actually looked like, and many other grisly, real-life, death-inducing events. But because of certain plot points in my first novel, Protector, I also needed to see crime scenes that involved children. This was probably the worst thing I had to witness. The only way I could view it was without emotion and looking on it as an investigator would— basically separating themselves from the reality and focusing on the arm, then the leg, then the head and so on. But there is still one photo that I can’t get out of my head and it’s not so much because of brutality. In fact, the two children in the photo appear to be sleeping peacefully in the photo. And I think that’s what gives it a sense of creepiness because if you didn’t know better, you wouldn’t know they were deceased. Case in point: in Protector, there’s a scene where Emily (the young victim who witnessed the murder of her parents at her home but can’t remember what she saw) is brought back to her house with Jane to see if her memory can triggered. That’s something that actually can and does occur in investigations. However, in order for certain major plot points to happen, I had to create a situation where Emily stayed overnight in the house with Jane. When I asked the detective about whether this was legit, his comment was adamant. “That would never happen. Completely out of protocol.” But then he quickly suggested that if one of the characters mentions that it’s against protocol, it would soften it a little and make it more realistic….even though it would still never happen. The scene remains in the book with the necessary “against protocol” statement and it’s one of the dramatic and chilling scenes in the book. And what about shooting that Glock? Yeah, I did that too. In fact, I took a weekend NRA gun safety class where I shot targets, learned about gun laws in Colorado, cleaned the Glock, practiced loading it quickly and was counseled on how to determine when and when not to shoot during a home invasion. 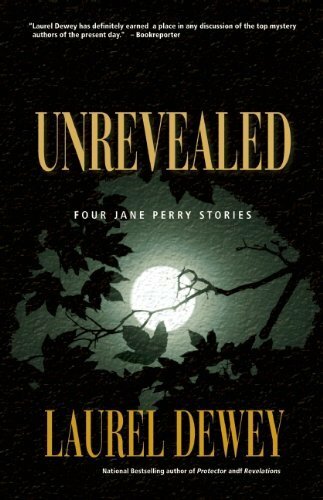 Basically, I immersed myself in the world of Detective Jane Perry in order to write about her life and her work. From the incredible reader response I receive on a daily basis, I think it all paid off. 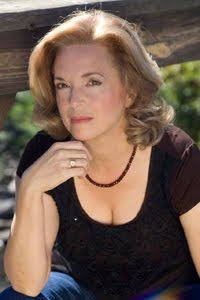 AUTHOR BIO: Laurel Dewey was born and raised in Los Angeles. 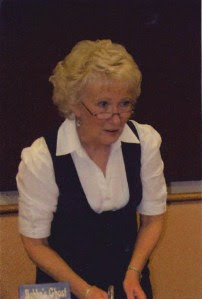 She is the author of two nonfiction books on plant medicine, a Silver Spur-nominated Western novella, hundreds of articles, the Jane Perry novels, PROTECTOR, REDEMPTION, and REVELATIONS, and the Jane Perry novelette, AN UNFINISHED DEATH. She lives in Western Colorado with her husband, where she is currently working on a standalone novel. These are two separate books, each one is a novella. 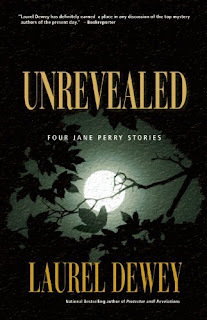 Filled with secrets disclosed and others desperately covered, Unrevealed is an absolute treat for all Jane Perry fans – four stories, all told from Jane's distinctive and unparallelled perspective. I never read anything by this author before so this was a great introduction to her writing as well as this series. Jane Perry is a wonderful and strong female character. I always enjoy “discovering” strong female characters. She says what’s on her mind and she’s a character that readers will be cheering for. 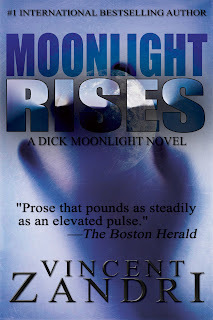 This novella was a great way to learn more about this character before reading more in this series. 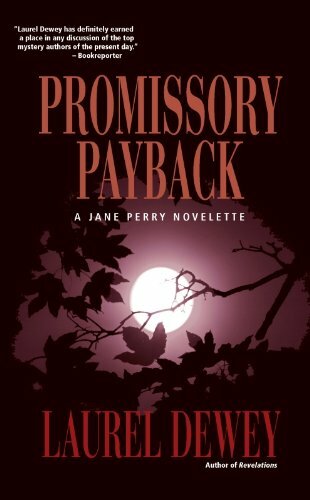 Jane Perry is called in to investigate the gruesome murder of a much-hated woman who mislead investors leading them to lose all their hard-earned money. There is a long list of suspects and Jane has her work cut out for her. My thoughts – This was a great suspense. I really enjoyed trying to figure out things along with Jane. There were a couple of twists and turns, although I didn’t think the outcome was all that shocking, but it was a good mystery. I give both stories a 4 kitty rating. "What do you think caused him to pass out?" asked Marjorie. "I guess winning Bingo was just too exciting," suggested Essie. The three women looked back and forth at each other. "I guess if you have to go, winning at Bingo is the best way," said Opal. Sunday Salon - September Wrap Up!